I have been an avid follower of football for over a decade, and until a few months ago, being a part of the football industry and mingling with influential people that have been idols were only distant dreams. I was born in India, where ‘Cricket is Religion’ and I have lived in Australia for the past 5 years, where AFL, Rugby and the like dominate the sporting landscape. While these are all great sports, none of them ignite the spark in me like football. There is something about the game that keeps my system busy – Why do fans behave the way they behave? How do football clubs make money and how do they spend this money? Who has all the powers in football? What makes football the most followed sport across the world? These are some questions that I have been able to answer since I joined The Football Business Academy in September 2018. Ever since, I have spent my time thinking, studying, reading and writing football. There is immense joy in seeing 18 people from 4 different continents sitting in front of their computer screens discussing the business of football throughout the week. The FBA has given us all a platform to not only showcase our love for the game but also our passion to make a difference in the industry. 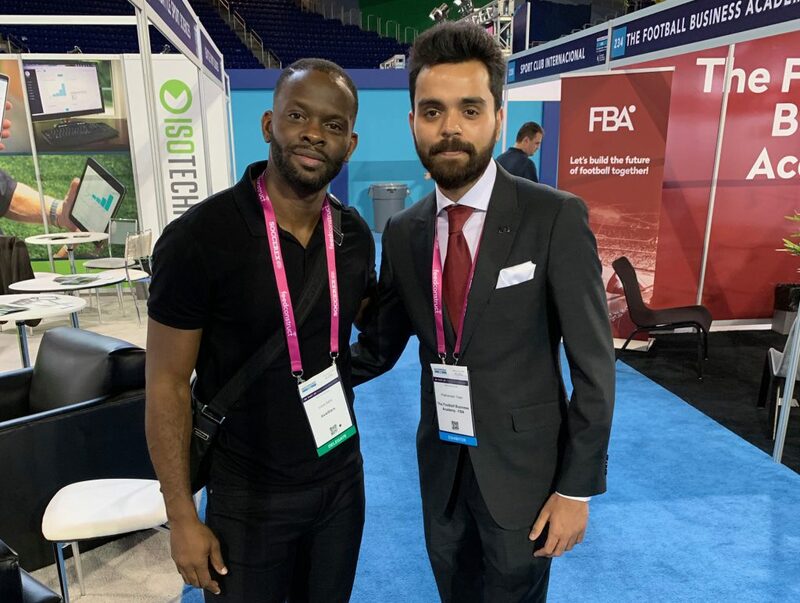 As we started our journey by taking up the Professional Master in Football Business, the biggest highlight amongst others was the opportunity to travel to Miami for a week and attend Soccerex USA 2018. Personally, there were many reasons for me to look forward to this week – it would be my first visit to the US, I was about to meet a whole bunch of new people who share the same passion as me and most importantly, this was going to be my chance to meet and make a good impression on industry leaders that run the show. Soccerex was returning to the US after more than 15 years. 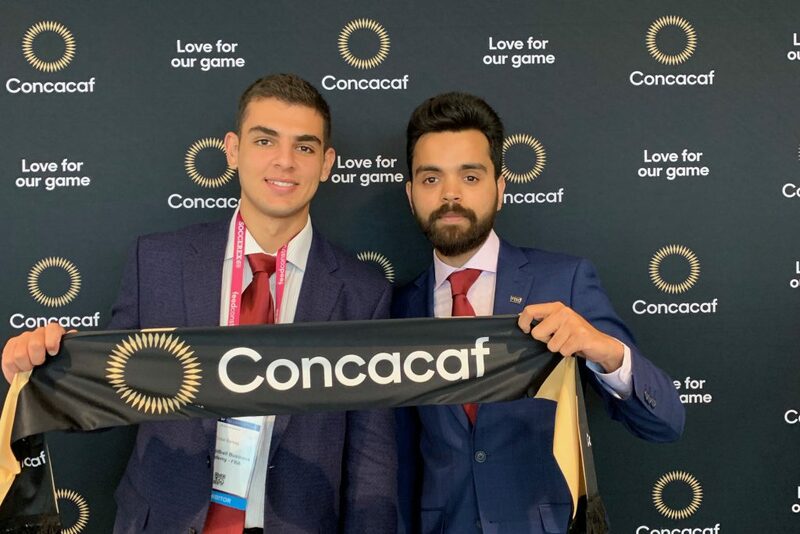 As football continues to experience exponential growth in the Americas and with the hosting of the 2026 World Cup on the horizon, it was an exciting time to come back. Our week started on the 12th of November, when The FBA Family arrived at the Holiday Inn, located in the heart of Miami Downtown. We were welcomed by Nathan from the FBA leadership team with a personalised kit that included a handwritten postcard (a touch of class!) and a lot of warmth that made us feel comfortable right away. We had the first day to ourselves to relax and recover from some incredibly long flights, so we spent the day at Miami Beach soaking in the sun and some food too, while getting to know each other. 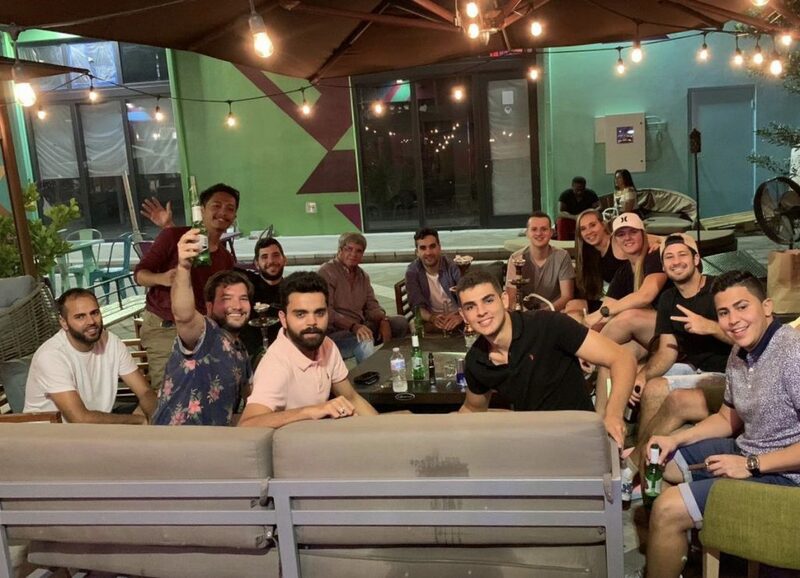 As more Candidates arrived later that evening, we assembled at the hotel and travelled to Wynwood for a Lebanese dinner as a whole batch for the first time. The first day was effortless as everyone was warm and friendly, and it felt like I had known them for a long time. The following day, we spent the morning together when we gathered for breakfast at the hotel restaurant. By now, we were all so comfortable around each other that jokes and banter had become new forms of communication, adding another element of humour to an already fun and rigorous week of work and networking. Later in the day, we were due to have our 1-on-1 catch up with Kristian, our Co-Founder and Partnerships Director, to discuss the internship module – a great initiative by The FBA to have face to face conversations to understand our expectations from this module. It was an informal chat where Kristian spoke to us about our areas of interest in football based on the courses from module 1 and beyond. Personally, I came out very happy from this conversation as it helped me gain clarity on where I wished to see myself in the years to come. Once all Candidates were through with their catch up, we were all set for our first official trip of the week. 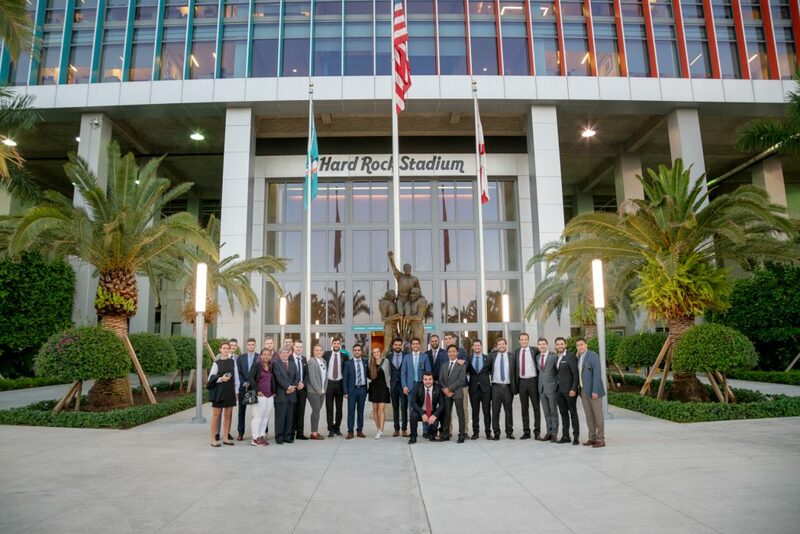 The FBA had organised a tour for us of the Hard Rock Stadium, which is home to NFL club Miami Dolphins. The stadium is a visually stunning work of art, making it more than just a sports stadium but an iconic global entertainment destination. Mr. Anthony Mozzicato, Director of Guest Experience at the club was ever so kind to take us through every little detail and thought that went behind the renovation of the stadium. The key takeaway for me from this tour was the strong emphasis US sport has on business activities along with sportive success. This was my first ever stadium tour and it was a mesmerising experience. We returned to the hotel and had a few hours to relax before our group dinner that was planned again by The FBA. We visited an Italian restaurant by the bayside and spent the rest of the evening together with some delicious pizzas and pasta. The next day was a workshop organised by The FBA. This was an all-day affair in the hotel where Kristian, Prof. Daniel Wood along with Prof. Mayi Cruz Blanco trained us on soft skills that are crucial in day to day life, let alone the football industry. We were given an overview of the two most important days on this trip at Soccerex and our mentors also helped us with tips on networking. The FBA invited some of the 1st and 2nd edition Alumni/Candidates who shared with us their journey through the master’s course and more importantly, their internship experience with high-profile football clubs and organisations. Prof. Daniel took us through some of his experiences and discussed the importance of failure in a successful career. He also shared with us his plans for an upcoming project and gave us the opportunity to contribute towards the implementation of this project. We were split into groups of 5 and were given a little more than a day to come up with a business plan. We spent the rest of the evening working on this plan as the winning group would become a part of the founding members of this project. Some Candidates also used this free time to enjoy an authentic Brazilian dinner. 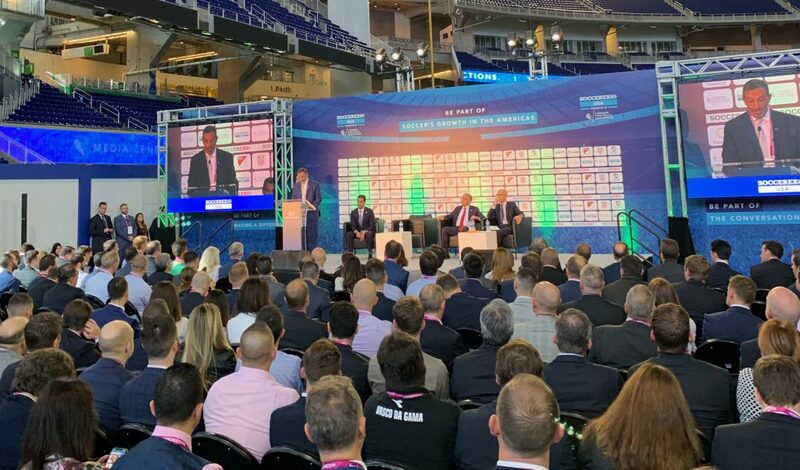 The next two days were precisely why we were in Miami – Soccerex USA 2018 was underway at Marlins Park. The conference halls and exhibits were laid out on the green grass of this baseball stadium, which is home to the Miami Marlins. There were more than 1,800 delegates in attendance over the two days and the event was the biggest opportunity for us, the potential future of the football industry to meet the right people, learn from senior executives and stay on top of the latest trends in the beautiful game. The pool of attendees included the likes of Javier Tebas – President of LaLiga, Domingos Oliveira – CEO of Benfica, Rudolf Vidal – Bayern Munich President of the Americas, Paul Barber – CEO of Brighton & Hove Albion F.C along with some legends like Louis Saha, Landon Donovan, Juan Sebastián Verón and Luis Hernández. The FBA had planned personalised conference itineraries for each Candidate and we were asked to summarise two conferences, one in 500 words and the other in 5 that would be shared with the Soccerex committee, upon completion of the event. In addition to this, we were also free to attend other conferences and network with delegates that would best fit our own interests. The FBA staff were equally busy at the event with Kristian, Nathan and Nicolas entertaining prospects at the FBA exhibit, Camille keeping our social media followers in the loop and Sebastian clicking Candidates in action as we hustled our way through networking with the elite of the industry. The FBA also organised a visit for us to the new Concacaf offices in Miami, where we were welcomed with breakfast and a presentation from each department of the federation. This visit was one of the highlights of the trip for me as it gave us an insight on the difference between the organisation of football in the Americas and the rest of world, Europe in particular. We ended the two days of hard work and networking with another group dinner at Miami Beach. The last day was bittersweet as it marked an end to an eventful and successful week, but it also meant that we would have to wait another 7 months to meet again in Geneva. Some of us had planned to stay back to enjoy a few more days of the Miami way of living – celebrity beach football events, VIP after-parties and we were also fortunate to watch Lakers with LeBron James take on Miami Heat at the AmericanAirlines Arena. The week-long adventure in Miami was one of the best trips of my life where I was meeting new people, growing and learning about new cultures. Most importantly, this week gave me an indication on what goes on behind the scenes in the world of football and how things are nowhere close to what we see as fans. For all those who wish to be a part of the football industry, an experience as valuable as Soccerex should be a priority as it marks as a first step to learn about the industry and to build a network. I have spent the last few days in nostalgia, revisiting the memories we created, the opportunities that The FBA gave us and the overall experience that will stay with me for a lifetime. 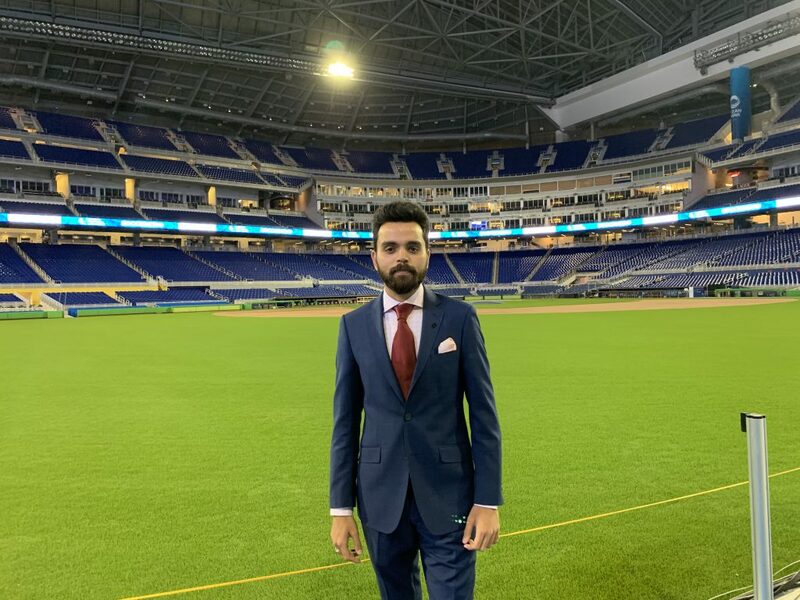 Prathamesh Tiwari is a Candidate of The FBA’s Professional Master in Football Business 3rd Edition, expected to graduate in September 2019. He can be contacted via LinkedIn.